With Halloween fast approaching the time seems right for a spooky tale. 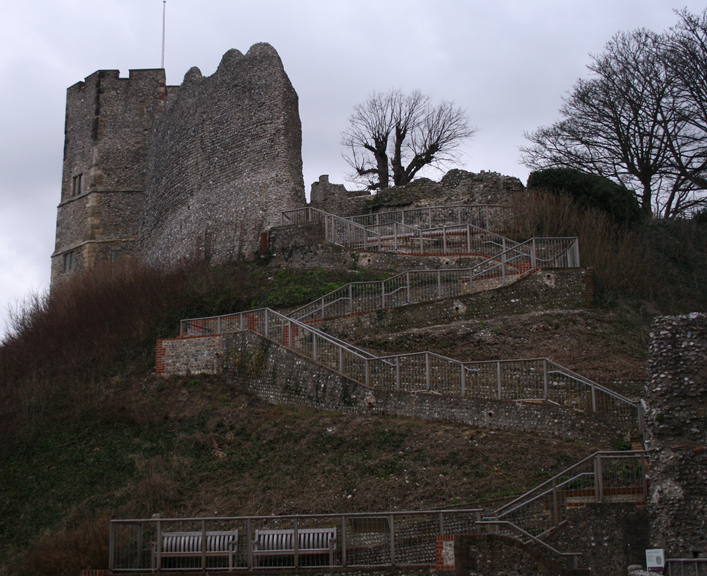 Lewes Castle was built soon after the Norman Conquest by William de Warenne, it is associated with many ghost stories and this is one of the best known. Many many years ago, probably during the Norman period, the lord of Pevensey Castle took an army to attack the Earl of Warenne at Lewes Castle; the two armies met at Mount Caburn just outside of Lewes where battle began. 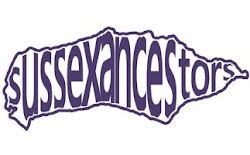 But watching from the castle at Lewes was the wife of the Earl of Warenne who was holding their new born baby. It seemed as if the lord of Pevensey was going to take honours and with his sword raised he moved in for the kill but the Lady de Warenne loved her husband and she prayed to St Nicholas, who protected those in danger, and promised that their son would not marry until he had been to Byzantium and offered up treasure to the tomb of St Mary. St Nicholas obviously liked this plan and intervened in the battle, Lord Pevensey lost his balance, his sword missed de Warenne and without a wife to offer up their own child on his behalf he was killed and the battle was over. Life went on, each year the de Warenne's celebrated their win over Lord Pevensey and the young baby grew up to be a fine young man. As young men tend to, he fell in love and was soon going to marry the Lady Edona. The two were dancing at the anniversary of the battle when suddenly, an icy wind swept through the hall and the room was plunged into dark as the candles and lamps were extinguished. Now the room was lit by images of the battle which were played onto the walls and just as Lord Pevensey again went to strike Earl de Warenne everything was suddenly silent and quiet. The de Warennes took this as an omen and soon their son found himself on a ship to Byzantium. One year later, on the 17th May, his ship was spotted off the coast of Worthing and the de Warenne family along with the Lady Edona rushed to meet the returning hero. They gathered along the coast near the church of St Nicholas in Brighhelmstone singing songs of joy as the ship grew closer. Suddenly the ship hit rocks near Shoreham and sank almost instantly, it was too much for Lady Edona who dropped dead on the spot. The Earl of Warenne had a new church built for St Nicholas on the same place were they had stood and Lady Edona was buried when she had fallen. On the 17th May each year it is said if you stand on the hill next to the church of St Nicholas you too can watch the doomed ship trying to make its way home. Of course given the change in the coast line and modern commercial development you'll have little chance of seeing anything but doomed shops sinking without a trace in the recession!